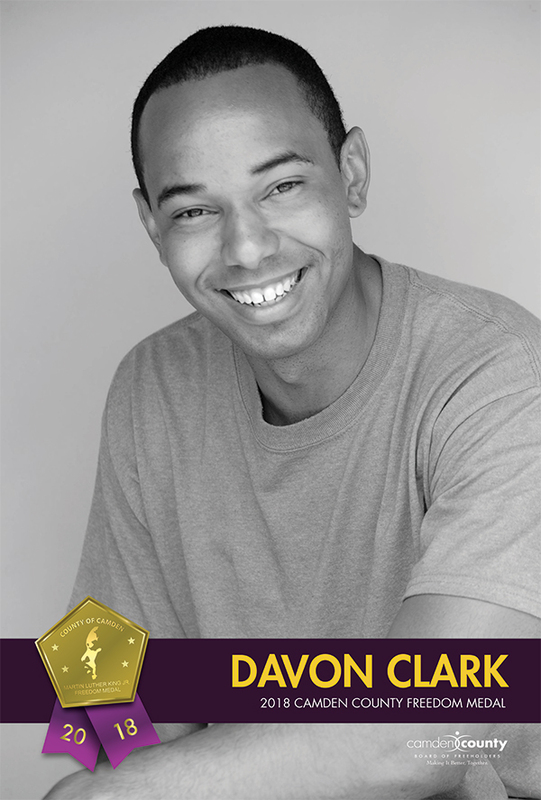 Davon Clark is a native of Camden, NJ and has over 17 years of experience and training in the educational and entertainment fields; obtaining two NAACP Image Awards for his work on TV One’s critically acclaimed docu-series UnSung and working as an educational instructor in Philadelphia, Bronx, Los Angeles, and Camden. Davon developed ADC Kid (A Davon Clark Kid), a startup children’s multimedia educational company dedicated to the advancement of empowering and enlightening through interactive literacy, fitness, and basic math skills. In 2015, he started the first Children’s Book Festival that continues to run each year. Last year, Davon put together a comic book workshop so that children could learn how to develop, draw, and get insight on how to create their own comics. He also performs interactive storytelling throughout Camden County to help children identify objects, learn fun facts, and utilize basic math skills. Outside of childhood literacy, Davon has conducted a Youth Empowerment Event, taken up efforts in Juvenile Justice Reform, and helps feed the homeless by giving out meals during the holiday season. Davon is from Pennsauken Township.